The University of Hawai’i basketball team completed one huge road task on Thursday. Now comes a bigger one. The Rainbow Warriors will take on first-place UC Irvine in a Big West Conference showdown on Saturday at the Bren Events Center in Irvine, Calif. The game is scheduled to start at 7:00 p.m. Pacific Time (5:00 p.m. Hawai’i time), and is available via video streaming through ESPN3 (www.espn3.com or the WatchESPN app). Hawai’i is 14-8 overall and tied for third place in the Big West at 5-3. 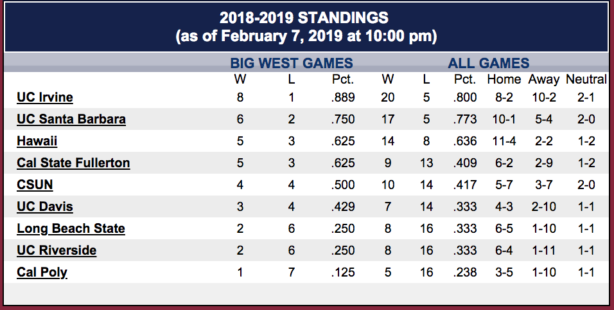 The Anteaters are 20-5 overall and alone in first at 8-1. The showdown game comes 48 hours after the Warriors gained some needed momentum in the form of a 77-70 win at Long Beach State. 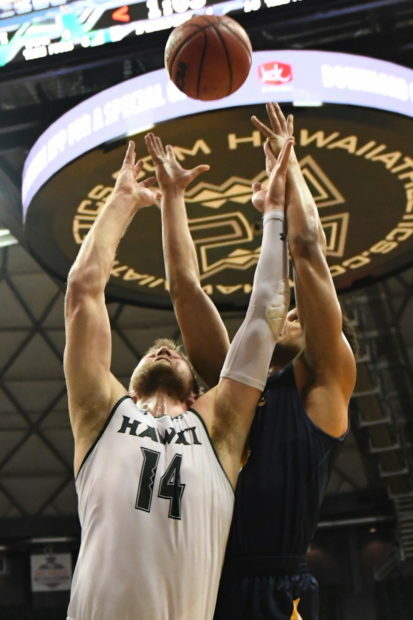 It was a breakthrough victory, as Hawai’i had lost at Long Beach State in each of the previous six seasons. 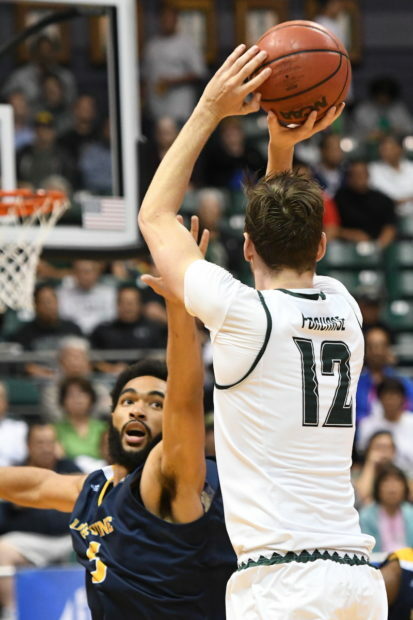 The Warriors will need a similar spirited effort against a UCI team that is on a six-game winning streak that includes a 75-74 overtime win over Hawai’i on January 23 at the Stan Sheriff Center. The Anteaters have built their success this season with defense, rebounding, and an equitable offense. They are allowing just 65.1 points per game, and limiting opponents to a .384 field goal percentage, which is best in the Big West. UCI also leads the conference in rebounding at 39.9 per game. The Anteaters share the load on offense, with nine players averaging between 5.6 and 12.1 points per game. Those same nine players average between 16 and 26 minutes per game each. Max Hazzard, a 6-foot junior guard, leads the team in scoring at 12.1 points per game. 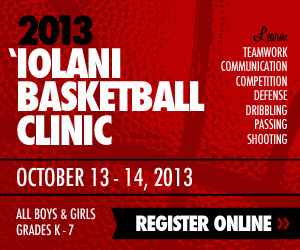 He also leads the team with 63 3-pointers and is shooting 40.1 percent from 3-point range. He scored 14 points, including the game-winning shot in overtime. Evan Leonard, a 6-1 junior guard, had 17 points and seven rebounds in the win at Hawai’i, and he is second on the team in scoring at 10.6 points per game. A trio of UCI bigs do not put up big numbers, but play significant roles. Jonathan Galloway, a 6-10 senior center, is averaging 6.0 and 8.0 rebounds per game, and is the two-time Big West Defensive Player of the Year. Tommy Rutherford, a 6-8 junior forward, is averaging 6.9 points and 4.3 rebounds per game. He was a first-team All-Big West Conference selection last season. Elston Jones, a 6-9 senior, is averaging 5.6 points and 6.6 rebounds per game, and ranks second in the Big West with 41 blocked shots. The Warriors led by as many as 14 points in the second half of the loss to UCI last month. Senior forward Jack Purchase scored 18 points in that loss, and has been UH’s most consistent player during Big West action. He is averaging 11.6 points and 6.0 rebounds per game overall, and ranks second on the team with 54 3-pointers. Junior guard Eddie Stansberry leads Hawai’i in scoring at 12.0 points per game, and ranks second in the Big West with 62 3-pointers. Junior forward Zigmars Raimo is averaging 11.6 points and 6.7 rebounds per game, and leads the Big West in field goal percentage at .586. He had 16 points and seven rebounds in the loss to UCI. Senior guard Brocke Stepteau scored 23 points in Thursday’s win at Long Beach State and shot 5 for 6 from 3-point range as the Warriors tied a school record with 14 3-pointers. He is averaging 9.7 points and 3.1 assists per game. Sophomore point guard Drew Buggs is averaging 8.7 points, 5.4 assists and 4.2 rebounds per game, and has also plays a crucial role in the Warriors’ defensive schemes. Since joining the Big West in the 2012-13 season,Hawaii has a 5-11 record against UCI,including 3-3 at the Bren Center.